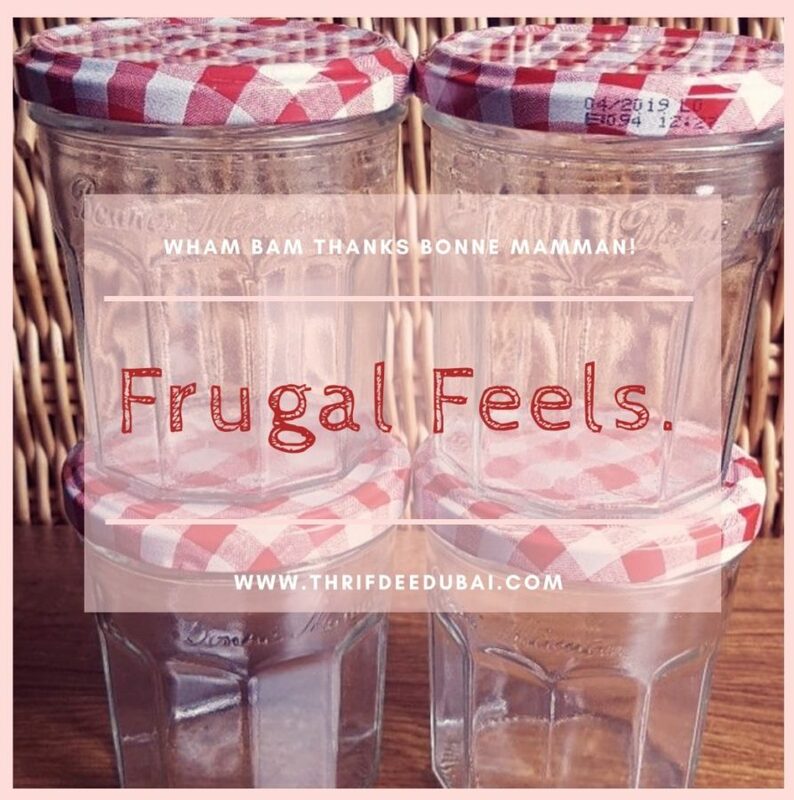 This is the first installment of my Frugal Living Category, where I will be sharing with you my thrifty ideas. Before I lived in Algeria, I never once thought to keep any of the glass jars I used & would always throw them out or put in the recycle bin. I found in Arabic households, recycling is a very big thing! They mainly keep any glass & plastic containers they use & put them to good use! Be it for, tomato puree in the fridge, pulses in the pantry or spices for cooking. How many of us can say we’ve thrown hundreds of recyclable products out, not realising they can be very useful right in your own kitchen? Sustainable living is something we need to look into if we are to protect our planet…. & our pocket 😉 Wham Bam, Thanks Bonne Mamman! Sometimes the average spice jar is really too small for our needs. You can’t even fit a teaspoon into some of those narrow ones, and it seems like I’m always refilling mine. Although for my “go to” quick access spices I use my Masala Dabba Which comes in handy! Seeing as I get my spices in bulk (especially Ras El Hanout & Paprika fresh from Algeria) I needed something to store them in & keep them fresher for longer! That’s where my love for Bonne Mamman jars started! Well actually, my love for the jam first! ….Who doesn’t love some lush jam with their clotted cream & scones? Buying the amount of storage containers I’d need would cost a small fortune, so I began saving the jam jars & I like how they’ve found new life as storage containers! The 13-ounce jars are big enough for plenty of spices, which is nice for those of us who use tablespoons at a time in curries, tagines and other spice heavy dishes. It’s also great to see recycling in use, of course! Best bit is you can get all “Pintrest Prissy” and decorate them, mine are sadly looking a bit dull at the moment, but I plan to paint them and add some chalk labels, you can too & really make your pantry/kitchen pop! It don’t just stop with Bonne Mamman jars, you can use anything you have, pasta sauce jars, Nutella jars, olive jars… anything glass, just wash, dry & decorate how you like!